All actors at some point want to enact or mimic their favourite actor/actress or take inspiration from them. 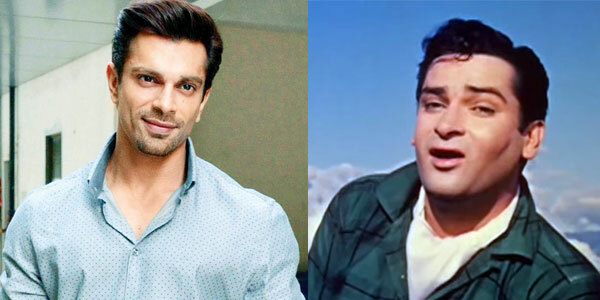 Karan Singh Grover aka KSG, the heartthrob of Bollywood will be drawing inspiration from one of his favourite actors Shammi Kapoor for his role in his next, 'Three Dev'. Apparently, Karan is playing a complete diverse character in his next unlike his previous films. It requires him to be lively and fun-loving also good at serious scenes. The actor plans to take inspiration from the veteran actor who used to carry both the requirements with perfect timing be it an emotional scene or be a jolly one. We're sure, KSG will aptly enact Shammiji in his character. "I have loved shammiji for his roles and his spontaneous acting, it was a treat watching him always and looking into my character I found the perfect time to adapt a few things from this character, I hope I made justice to it."